Take A Risk Teaching series, 30 Days to Living Life Undaunted Interactive Journal, Live Undaunted Wallpapers, Propel Personal Leadership Curriculum, & more. Undaunted is for any person, man or woman, & regardless of age, who desires to bring hope, create change, and live out their God-given destiny. It's for the person who dares to do what God is calling them to do. Unnamed. Unwanted. Unqualified. And with God, Undaunted. 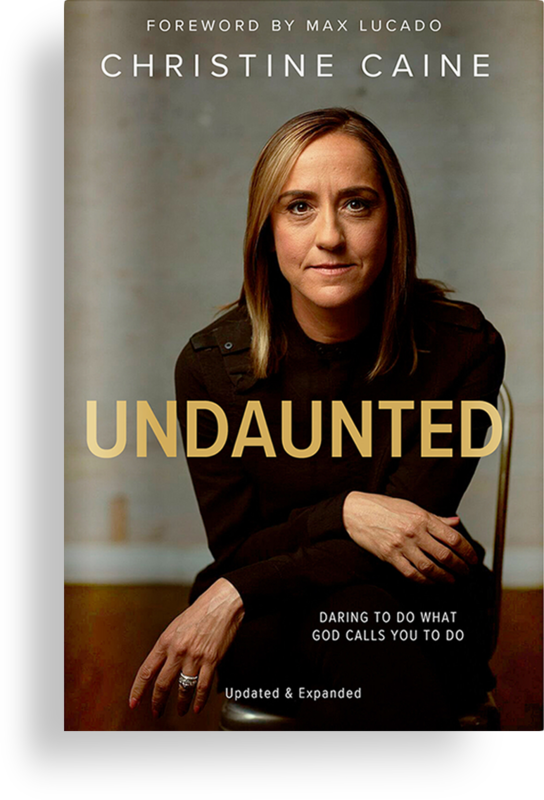 In this expanded and updated edition, bestselling author, speaker, and activist Christine Caine reveals how God rescued her from a life in which she was unnamed, unwanted, and unqualified. In the face of her daunting past of abuse, abandonment, and crippling fears, God invited her into a new adventure of undaunted living—fueled by faith, love, and courage that only He could supply. "This book is long overdue from one of the world's greatest voices in the body of Christ." With fresh insight from more than ten years of leading A21–and since the book was first written–Christine guides you to bold purpose. You’ll find transforming truths and tactics to repurpose life’s painful experiences into catalysts for change—in yourself and in those around you. With additional biblical teaching, new stories, and bonus chapters, this revised edition of Undaunted will awaken you to fulfill the purpose to which you have been called--and bring hope to others. I consent to receiving email communication from Christine Caine Ministries. Thanks so much for pre-ordering Undaunted, Revised & Expanded. Please check your inbox for your bonuses.